This should give something like “/usr/local/lib/python2.7/dist-packages/tensorflow”. In the end, the run completed with a test set error of 0.8 %. That’s it for now – have fun! brilliant…I’m glad that worked. I’m struggling with the same thing right now; I’m about to try the Insider Preview build. Thanks a lot buddy. It just worked perfectly for me. Let me add my thanks as well. This is pretty cool. Uhless we have the exact same setup there’s no use in comparing runtimes. 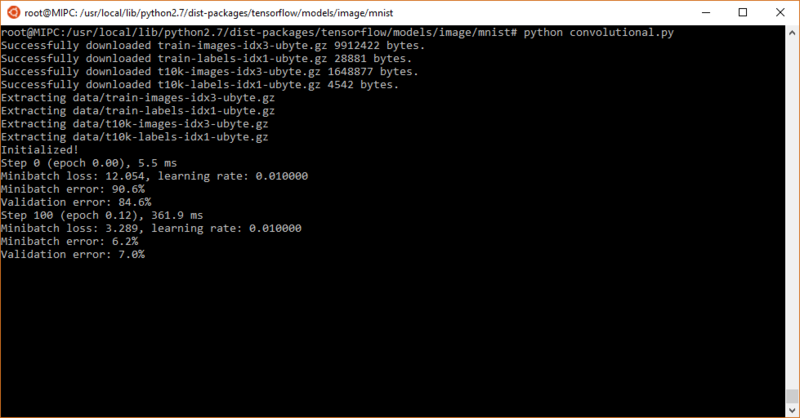 Especially with MNIST the performance comparison is pretty artificial. At the moment the Linux subsystem will only give you CPU, so it’s only marginally useful. 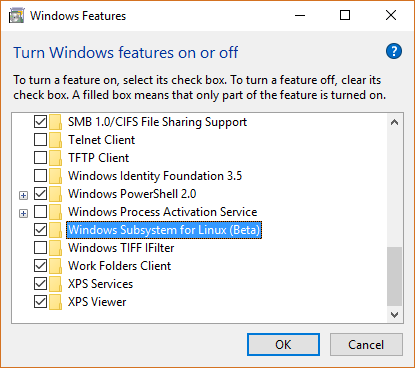 I believe tensorflow for Windows has reached public beta. For the past few months I’ve been using keras with Theano backend on Windows. 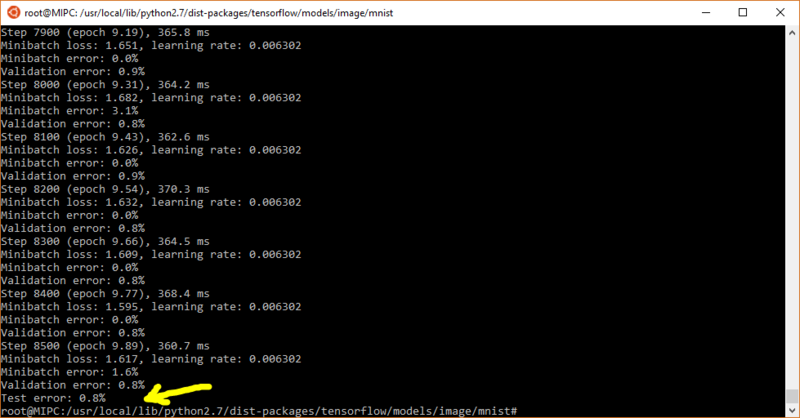 It would have been soooomuch for every developer to move forward if WSL supported GPU version of tensorflow..
After more than 7 hours trying to set up TensorFlow via “conda” and “bazel”, I gave up. Then using the process you listed – I was a success (in approximately an hour). It worked perfectly and my run took slightly more than 2.5 hours (on a low end laptop), so I would guess it would only take ~5 minutes on a GPU. Thank you for posting this so I don’t have to beat on it anymore (just to try TensorFlow on a windows machine). I have wanted to do this for months.